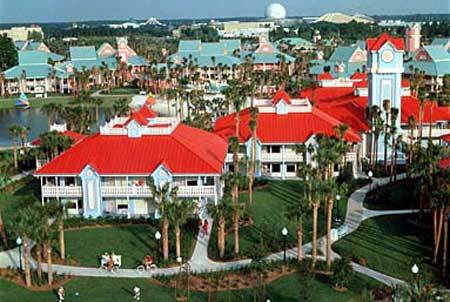 Disneys Caribbean Beach Resort - Disney's Caribbean Beach Resort is not only one of Disney's most affordable hotels, it's one of the most architecturally vibrant. Five brightly colored "island" villages - each named after a Caribbean island - treat visitors to the alluring ambiance of the tropics. Each village has its own white sand beach that rests on the resort's shimmering 45-acre lake. Check availability for this resort.